As China has shifted from being a global investment destination to an international investor, the country’s government has used the national aviation industry as a key tool to enhance the country’s rapid growth. What makes the Chinese aviation market unique? Before the establishment of the People’s Republic of China in 1949, joint ventures were in place with international airlines including Pan America and Lufthansa. This changed under Chairman Mao, whose communist party established the General Administration of Civil Aviation of China as the sole operator for the region. This signalled a temporary cessation in air travel from Western nations. By the mid-1980s, China’s hard-line stance had softened. 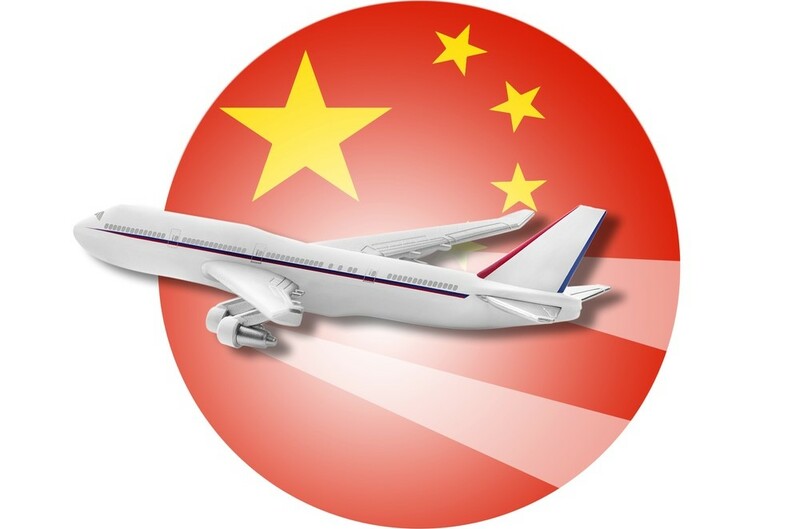 A limited number of private enterprises were allowed to compete, and the aforementioned operator was divided into three state-owned airlines; Air China, China Southern Airlines and China Eastern (who still hold the balance of power in the market). The combination of skyrocketing population numbers and the need for long-distance commercial and civil transportation has seen demand for air travel increase massively. China is therefore flexing its manufacturing muscle and making great strides towards catching up with the rest of the world. Chinese aviation industry growth in numbers? What factors are enabling this rapid growth? China has so far spent over ¥10 billion (approximately £1.05 billion) on ATM infrastructure, with further investments to be made in the near future. China’s aviation industry is growing in line with its global commercial interests, which now stretch as far as Africa and South America. The positioning of major cities in the burgeoning Asia Pacific bloc also assures that long-distance air travel will remain a profitable venture. Bombardier alone aim to deliver 875 new aircraft at a cost of $33 billion to help meet such demand (New York Times). Virgin Australia has recently sold a 13% share in its company to China’s HNA Aviation Group in order to gain access to the Chinese travel market (Sydney Morning Herald). The initial deal is worth around $115 million (approximately £79 million), with Virgin’s share set to rise to 19.99% over time. This will enable logistical and procedural co-ordination between the companies. Falling oil prices have helped China’s aviation industry save on its single biggest cost, allowing airlines to reduce ticket prices and stimulate further demand (Business Insider). China has been able to unlock vast amounts of extra resources in recent years, and this trend is set to continue. China has put aviation industry development at the centre of the past two 5-year plans. The government has become more adept at bringing in retail, maintenance and recruitment partners. The government is now focused on re-nationalisation and improving operating efficiencies, in part through switching from a preference for twin to single aisle aircraft. Such rapid industry growth would not be possible without an advanced, long-term recruitment strategy. This expertise has been cultivated from the Western market, with China utilising the skills of established recruitment agencies in order to make sure they have all the right people in all the right places. Find out how a trusted recruitment partner could help your aviation business reach its full potential.